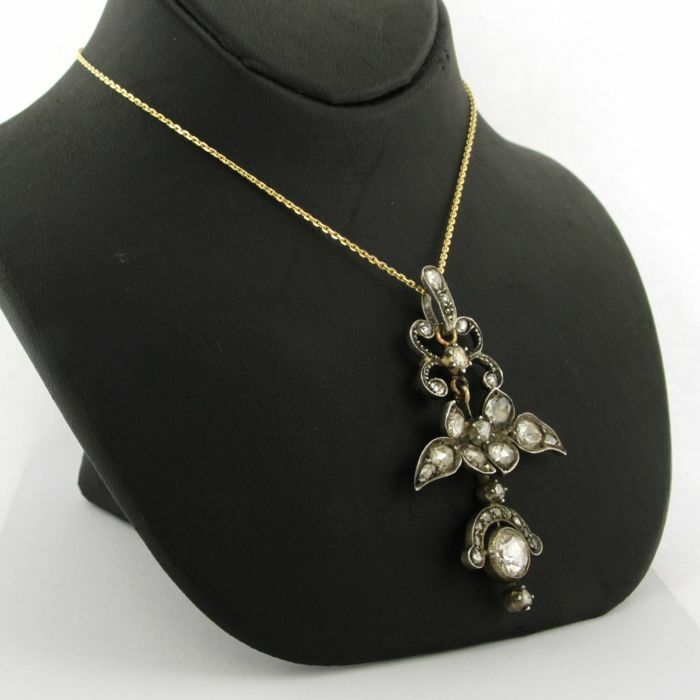 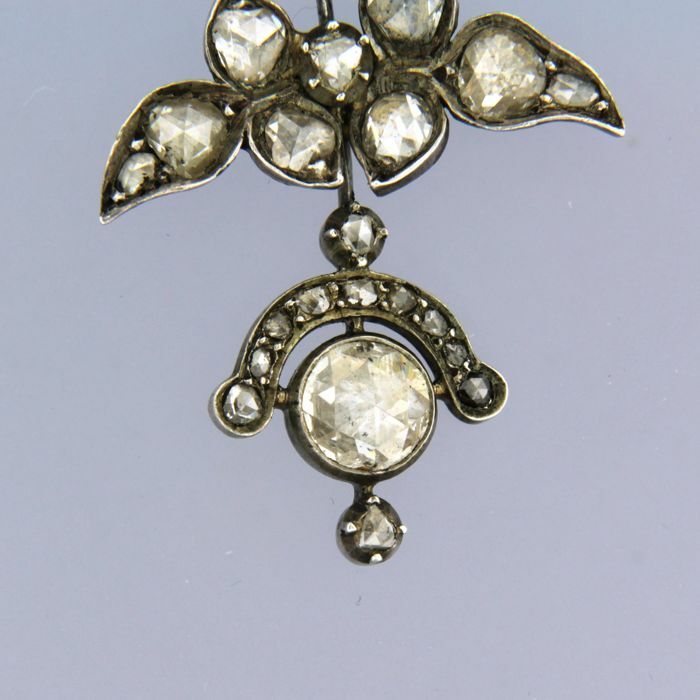 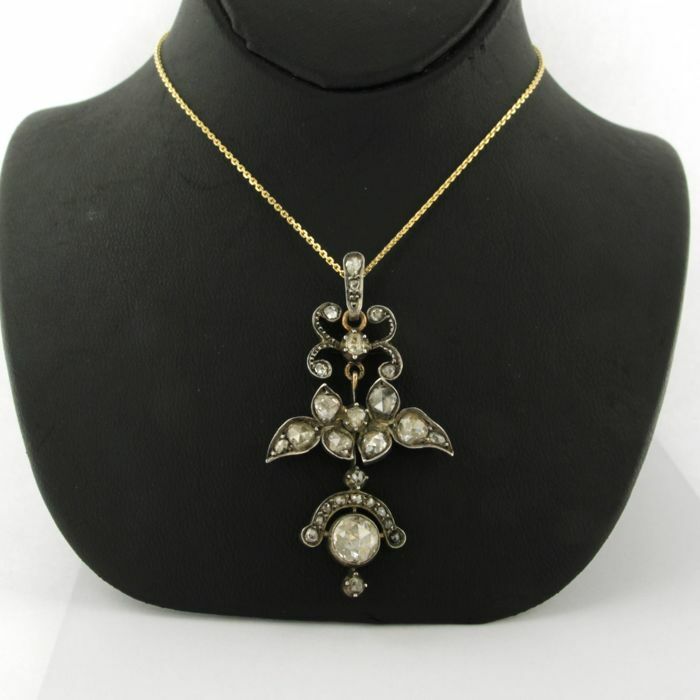 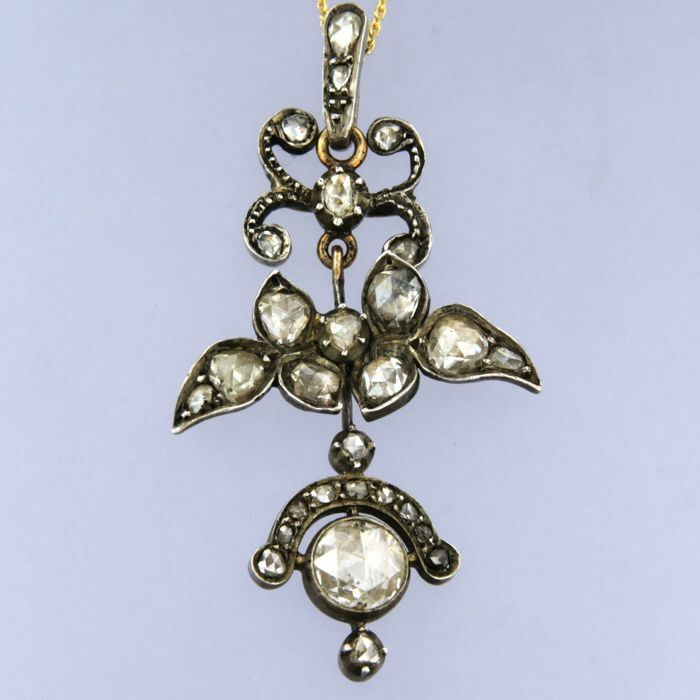 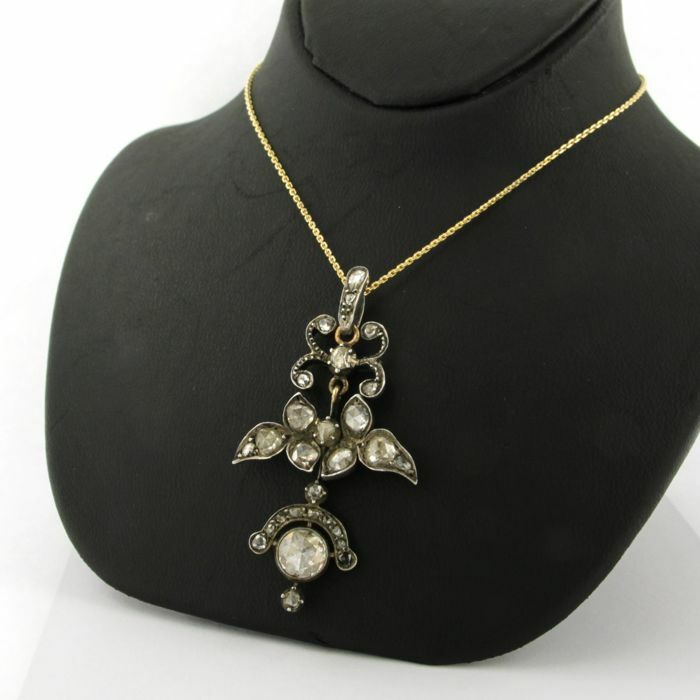 The pendant is antique, the necklace is modern. 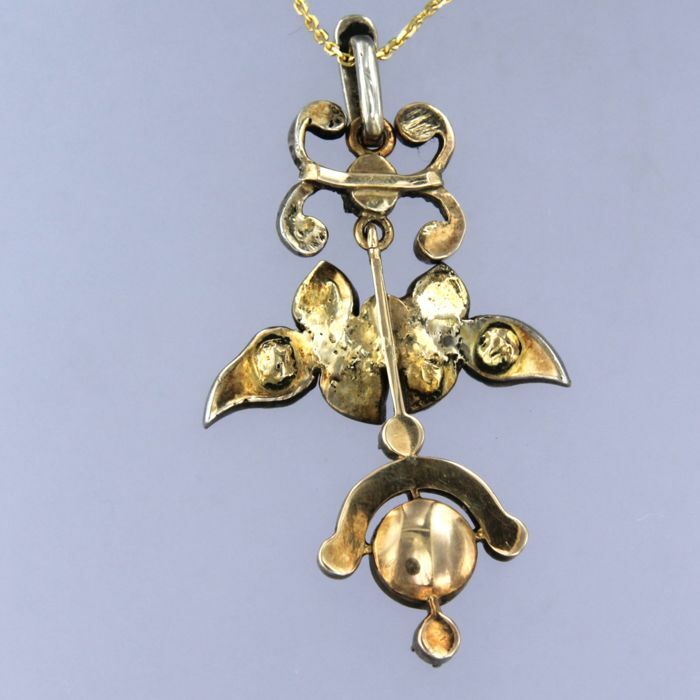 The size of the pendant is 4.8 cm long x 2.5 cm wide. 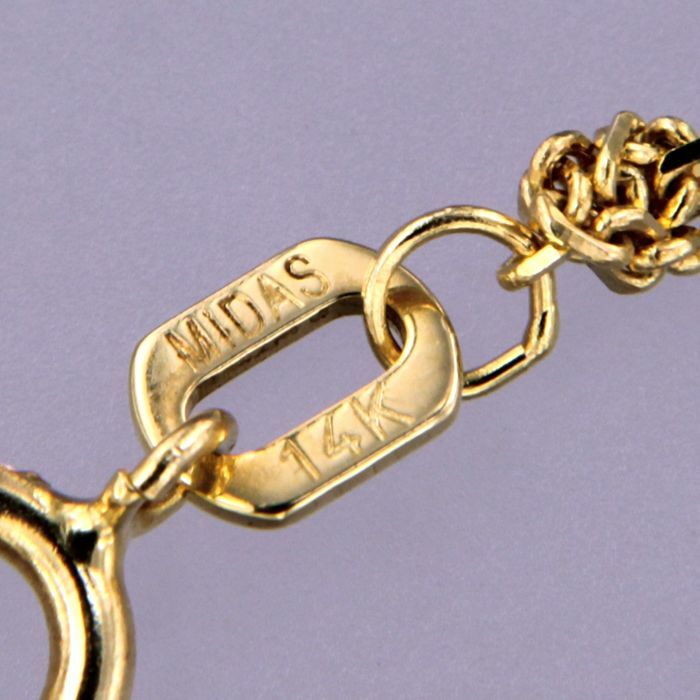 The length of the necklace is 44 cm, and it is 1.0 mm wide.